The boy quietens; his eyes open. Shahana lives alone with her young brother in the shadow of the Line of Control, the border patrolled by Pakistani and Indian soldiers that divides Kashmir in two. Life is hard, but Shahana ekes out a living with her beautiful embroidery. Then she finds a boy lying unconscious near the border. Zahid is from across the Line of Control, and Shahana takes a terrible risk by sheltering him. But how can she give Zahid up to the authorities when she knows he'll be imprisoned - or worse? 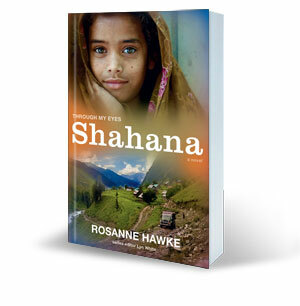 An unforgettable novel about one young girl in war-torn Kashmir. Additional material in the book includes a map, timeline and glossary.